Welcome to ChinaHerb.net, home of Olivia Wan-Mei Woo, a highly experienced and amongst NYC’s best acupuncturist. She is a New York State Board Certified Licensed Acupuncturist and National Board Certified in Acupuncture & Chinese Herbology (NCCAOM). 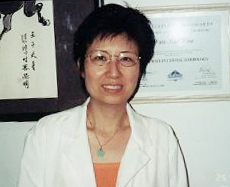 Olivia Wan-Mei Woo has also taught acupuncture as a faculty member at The New York Institute of Chinese Medicine, a NYS licensed acupuncture school. With over 25 years of experience practicing acupuncture and Traditional Chinese Medicine, she combines her deep knowledge of acupuncture, chinese herbalism, functional medicine and nutrition to assess and customize an optimal treatment plan. These treatments can be effective alone or in conjunction with Western medical approaches. Her patients know her for her warmth, compassion and discerning experience. One of the main focuses of her treatments is to balance the mind and body, help her patients reclaim their lives and spirits and lead them to improve their overall health and well-being. “According to Chinese philosophy, the body contains two opposing forces: yin and yang. When these forces are in balance, the body is healthy. Energy (Qi), flows like rivers along pathways, or meridians, throughout the body. This constant flow of energy keeps the yin and yang balanced. However, the flow of energy can sometimes be blocked, like water getting stuck behind a dam. A disruption in the flow of energy can lead to illness. Before any acupuncture appointment, prepare by eating light and avoid caffeine. This is important because acupuncture stimulates various pressure points to rebalance your energy flow (Qi), which may cause weakness without proper sustenance, and caffeine acts as a stimulant. During the first visit, we take a detailed medical history, extensive pulse analysis, gain a thorough understanding of your goals, and examine your system as a whole. Please bring any history of medications, diagnostic tests, MRIs, as this will help with a holistic assessment of your condition. Generally, a session may take a little more than an hour for the initial visit, and about 45 minutes for follow-ups.